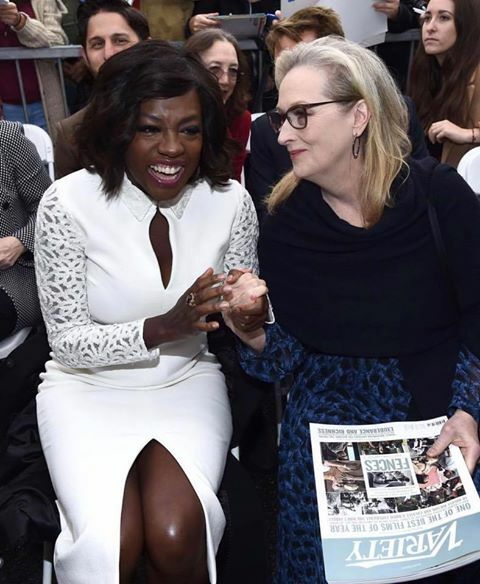 According to MyNredLA, Actress Viola Davis will receive the 2,596th star on the Hollywood Walk of Fame Thursday for a film career that has brought her two Oscar nominations and whose latest film “Fences” has made her a strong favorite for a third. Davis is also the first African American to receive a dramatic lead actress Emmy. She got it for the ABC TV series “How to Get Away with Murder” that has a midseason premiere in two weeks. Meryl Streep, who co-starred with Davis in the 2008 drama “Doubt,” which brought Davis her first Oscar nomination, was to join her in speaking at the midday ceremony in front of the Marshalls store on Hollywood Boulevard, across from the Hollywood Roosevelt Hotel. Davis’ other Oscar nomination came in 2012 as best actress for her portrayal of heart-broken but stoic maid Aibileen Clark in the civil rights-era drama “The Help.” Davis has received Golden Globe and Screen Actors Guild Award nominations for her portrayal of the wife of Denzel Washington’s character in “Fences,” a role that brought a second Tony.